Subscribe and start receiving news and updates about Christian Media Download today. 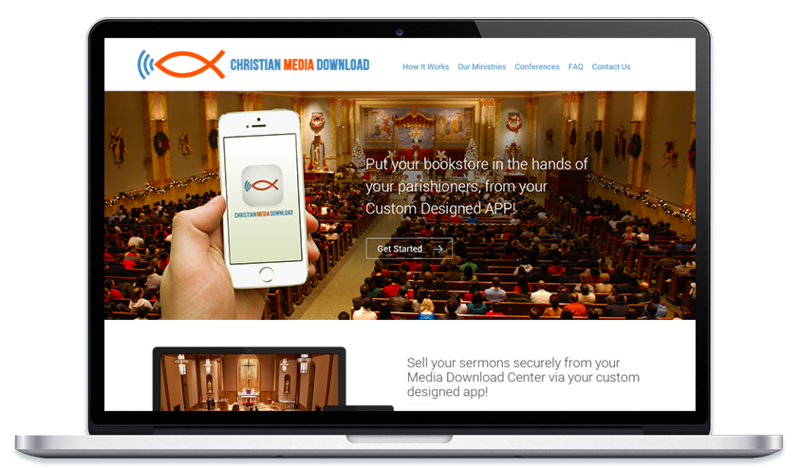 Sell your sermons securely from your custom-designed Media Download Center! The days of selling CD’s or DVD’s in your bookstore or even by mail order have gone away. Today, everything is available online and via mobile devices. We have created the Christian Media Download System to revolutionize the way you market your ministry. your customized Media Download Center. The CMD Website System is linked to your existing website and allows users to browse, securely purchase, and email or download to any smart device. Our custom mobile app (iOS and Android) enables your parishioners to select, securely purchase, and play, email or download from any smart device or computer. (C) 2013-2019 Christian Media Download System. All Rights Reserved.